A whole new world and many new wines based in the traditions of Old World wine. Vines have definite preferences about the latitudes and climates were they thrive, though with modern cultivation methods some lands have come into wine which never thought they could. Nevertheless, the point is that there are vineyards in South Africa and North Africa, benefiting from the Mediterranean climate, no wine to speak of in the rest of this vast continent. The first vines were planted in South Africa around 1655 and it has been established as a wine growing country since the late 17th century. Most of the vineyards are located around the Cape area, the South-western tip of the country, and a very much has rained on them since their history started; the wine in South Africa story deserves to be told in a page apart, beginning with the South Africa's wine regions. There was a thriving wine production in North African countries, mostly being exported to France, before they gained their independence. Since then, wineries and vineyards tumbled down and production diminished to almost a shadow of what it formerly was. It is difficult to imagine that North African countries produced a third of the worlds wine output in the 1950s. There are some attempts to recover some of the former glory, taking advantage of climatic conditions and mature vineyards, but the Muslim background –where alcohol consumption is forbidden- of the North African countries weighs down heavily on local consumption, and, apart from a few tourist outlets, the only output for North African wine is getting out of the area. Vineyards cover now a fifth of the area they did when Morocco reached its independence. SODEA, a state-owned company, dominates Moroccan wine industry but it has to rise above years of mistreatment. There is hope for the future in the form of foreign investors, but wine still has a long way to go in Morocco. Moroccan wines are predominantly red and dominated by Carignan grapes, with some Cinsaut and Grenache. Cabernet Sauvignon, Merlot and Syrah varieties have been introduced, being responsible for some of the country’s best wines. The best regions are the high altitude vineyards Menkés-Fès and Berkane. Wine production started in Tunisia when the Phoenicians founded Carthage, about 800 BC. Nowadays, the wine industry still has a strong French flavor, a natural conclusion after the Tunisia’s years as a French protectorate. Most of wine production is the hands of the state which is slow in introducing modern methods. There is no much investment, either. Grape varieties to be found here are Carignan, Grenache, Clairette and Alicante. Most of the production today is centered in light rosé wines, but there are very promising full-bodied red wines and, probably, in those lies the future. 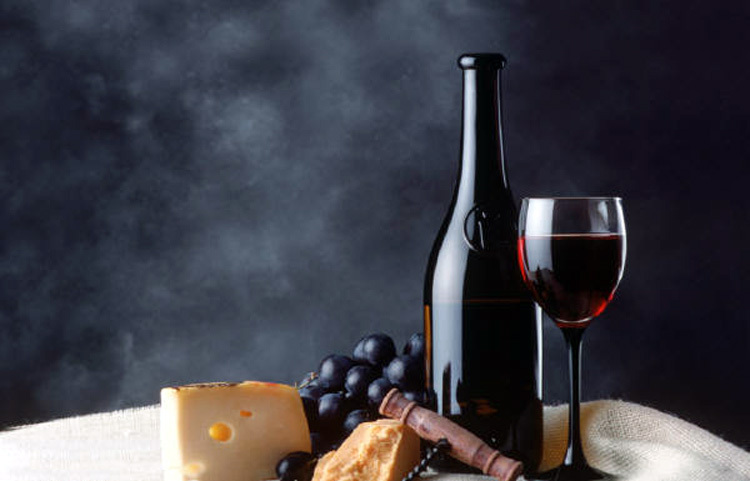 Algeria has a wine industry surprisingly large for an Islamic country. There is a wide area under vine, a legacy of their French past, but in these days half of it is geared for table consumption. Nevertheless, Algeria is still sporting wine. There are a number of wineries, but the industry is clearly dominated by the state-controlled ONCV. Most wine production is centered in the northern regions, influenced by a Mediterranean climate. Robust wines, high in alcohol, are born from Carignan, Alicante, Bouschet, Cinsaut and Grenache grapes. Some white grapes, such as Ugni Blanc and Clairette, are also grown. Cabernet Sauvignon and Merlot are gradually coming into the scene. Although many consider African wines part of the New World wines, South African wines can be classified as Old World in the way they are produced.